NABL is a self governing body under the supervision of Department of Science and Technology, Government of India. It provides accreditation to laboratories with testing facilities for biological, Chemical, Electrical, Electronics, Fluid-Flow, Mechanical, Non-Destructive, Photometry, Radiological, and Thermal tests. It also provides accreditation to medical laboratories for clinical pathology, clinical Biochemistry, microbiology and serology, Hematology and Immuno-hematology. 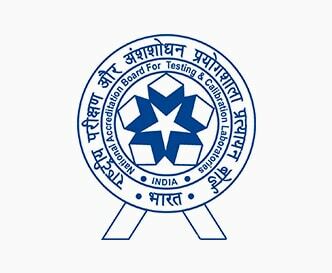 Under calibration facilities, NABL provides accreditation to Electro-Technical, Mechanical, Fluid Flow, Thermal, Optical & Radiological tests. It allows laboratories in India to check consistency and quality of results. Its concept was developed to check competency of Laboratories to perform certain types of testing by a third party assessment following international standards. This International Standars specifies requirements for quality and competence in medical laboratories. It can be used by medical laboratories in developing their quality management systems and assessing their own competence. 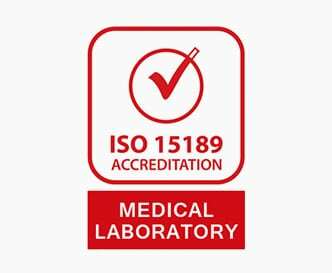 While the standard is based on ISO/IEC 17025 and ISO 9001, it is a unique document that takes into consideration the specific requirements of the medical environment and the importance of the medical laboratory to patient care. It can also be used for confirming or recognizing the competence of medical laboratories by laboratory customers, regulating authorities and accreditation bodies. It provides accreditations to laboratory for the biological, microbiological, immunological, chemical, immunohaematological, haematological, biophysical, cytological, pathological, genetic or other examination of materials derived from the human body for the purpose of providing information for the diagnosis, management, prevention and treatment of disease in, or assessment of the health of, human beings, and which may provide a consultant advisory service covering all aspects of laboratory investigation including the interpretation of results and advice on further appropriate investigation. 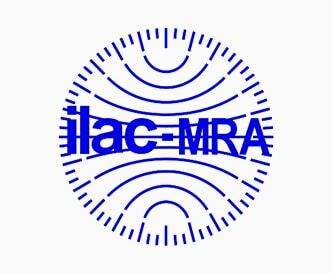 The ILAC Mutual Recognition Arrangement (ILAC MRA) provides a remarkable technical support to the testing, medical testing, and calibration testing and inspection results of the accredited evaluating bodies and convey trust in the assumption of the results. The ILAC MRA supports the allotment of services like providing clean drinking water and safe food, providing healthcare, providing energy and maintaining an unpolluted environment. The MRA promotes international confidence and accept accredited inspection and testing result reports to support international trade. This reduces the technical barriers to trade like retesting of products every time when they enter a new economy. 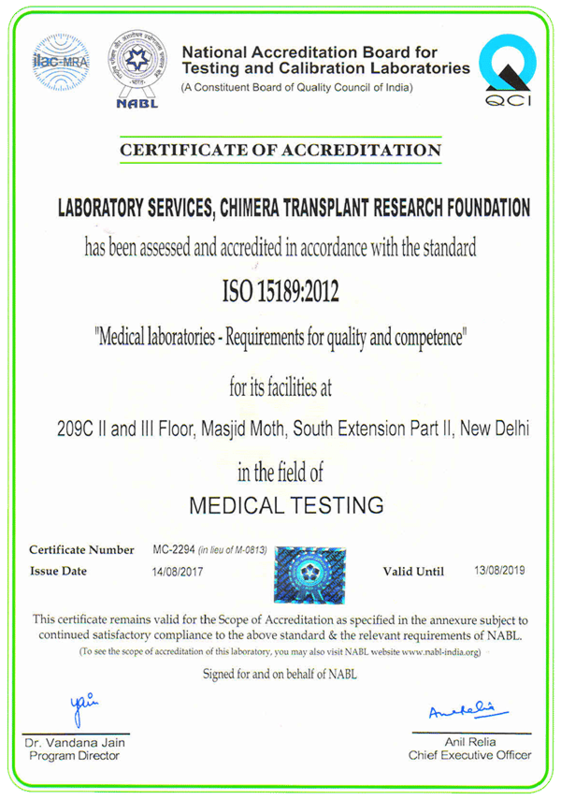 DNA Forensics laboratory works in partnership with Chimera Transplant Research Foundation which has been accessed and accredited in accordance with the standard ISO 15189:2012 in the field of medical testing by NABL and ILAC/MRA. For immigration (chain of custody) DNA tests, DNA Forensics Laboratory Private Limited is affiliated with DNA Diagnostics Center (DDC) which is Ministry of Justice (MOJ) and UK high commission approved accredited DNA testing laboratory. 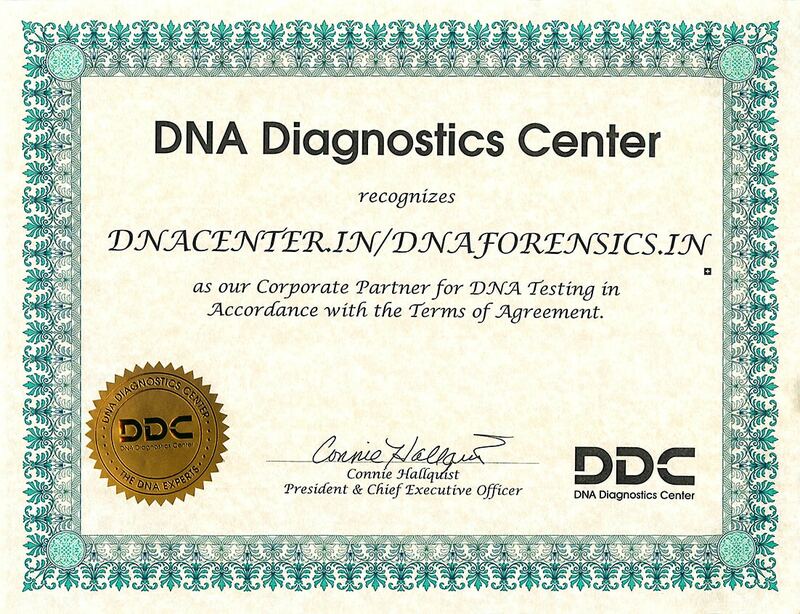 DNA Diagnostics Center is one of the leading and most accredited genetic testing laboratories in the world. DDC have earned the highest accreditations for DNA testing including: American Association of Blood Banks (AABB), ANAB ISO/IEC 17025 (formerly ACLASS), ASCLD/LAB-International, College of American Pathologists (CAP), New York State Department of Health (NYSDOH), Clinical Laboratory Improvement Amendments (CLIA), Standards Council of Canada (SCC), National Association of Testing Authorities, Australia (NATA) and ISO 9001. Efforts have been made to provide most accurate testing services with an assurance of careful and efficient handling of DNA samples. We understand the importance of 100% accuracy in results while dealing with different legal or peace of mind contexts. As a result, in-depth procedures have been followed in each case ensuring established quality standards by the team of DNA Forensics Laboratory Pvt. Ltd. Ranging from DNA tests to forensic tests, the company works rigorously while making a difference in patients’ lives through standardization and uniformity. Here we categorize each test as per the perspective; like we have the Peace of Mind Tests. We categorize Chain of Custody Tests with further classifications for DNA Paternity Test, Maternity DNA Test, Paternity Trio DNA, non invasive – Paternity Test for Unborn Child and so on as per your specific needs. We also provide court approved DNA immigration Test at cost effective rates. DNA Forensics Laboratory Pvt. Ltd. team has vision and mission to offer clients unsurpassed DNA testing services enabling them with confident decision making in personal or professional lives. Also, we place a high value on faith that our clients have, which is why, every test is performed under secure working environment. Knowing that how important is our success in the respective field. We provide complete support to our technical teams so that they can perform at their best. On the whole, we value honesty, diversity and teamwork!